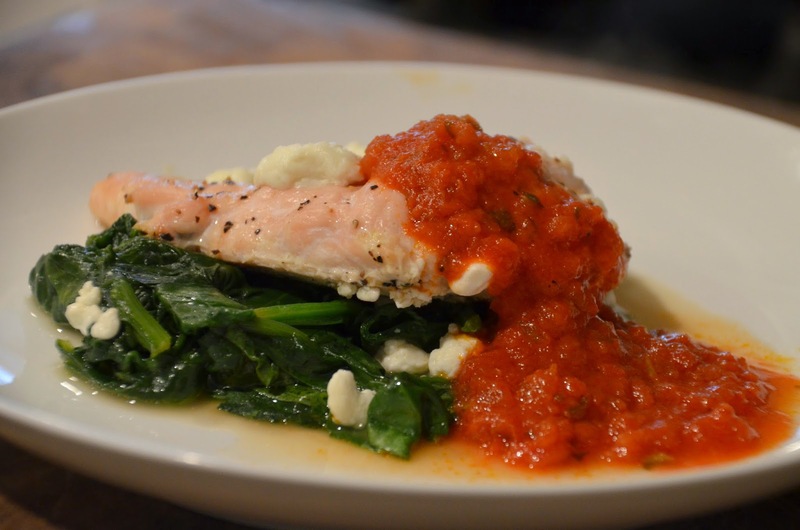 On my list of top 10 easiest dinners to throw together, this one ranks pretty high. 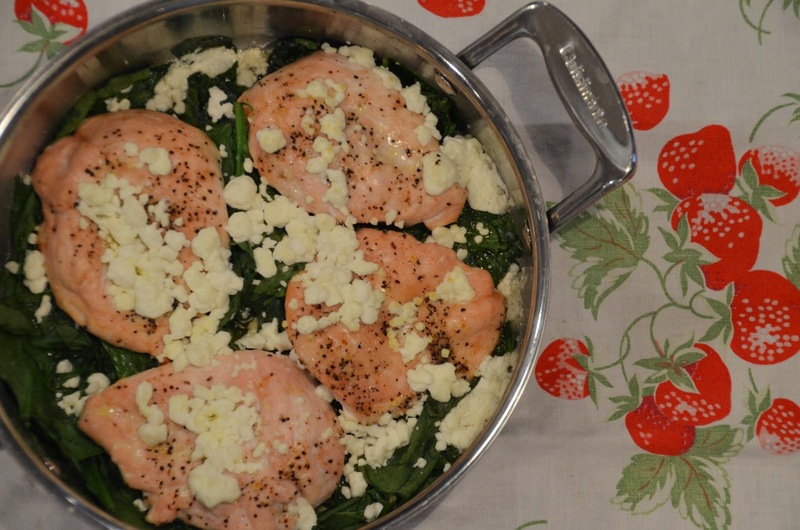 You can’t beat the chicken/spinach/goat cheese combo. I usually see recipes using these ingredients where you are pounding out the chicken or cutting pockets into it, and then stuffing them with filling, and then trying to close everything up with tooth picks…I’m tired already. Start by baking your chicken…baking is one of the easiest and least messy ways to prepare chicken, and if you cook it at the right temperature for the right amount of time it will always be juicy and delicious. 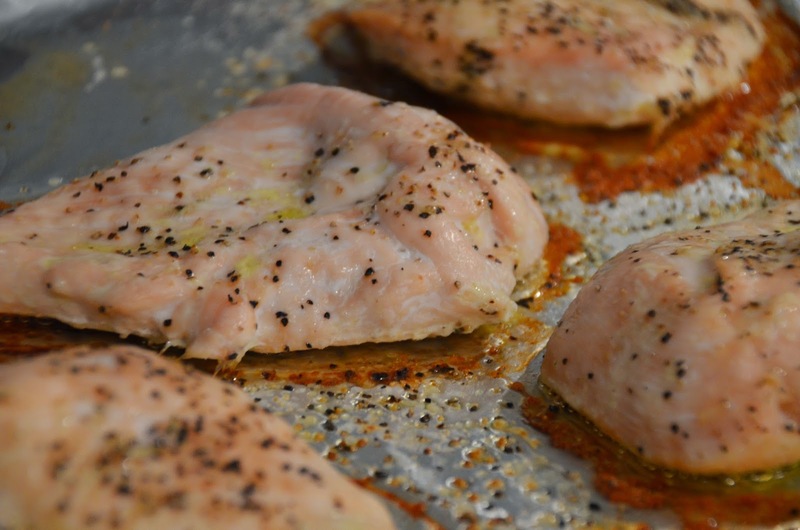 Line a baking sheet with foil and then drizzle your chicken breasts with olive oil, next add your seasonings…salt and pepper is a must but I also recommend adding some dried oregano and basil (or any Italian seasoning mix you might have). Put the chicken in the oven at 350°F for about 30 minutes…and this is what you get. This will of course wilt down to nothing pretty quickly…put the lid on to help it along. 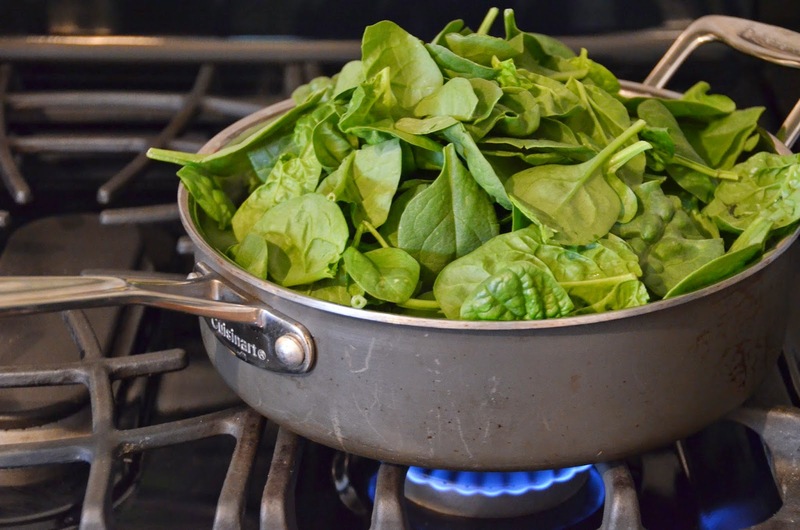 After a few minutes, remove the lid and place your chicken that you just took out of the oven on top of the spinach in the pan. 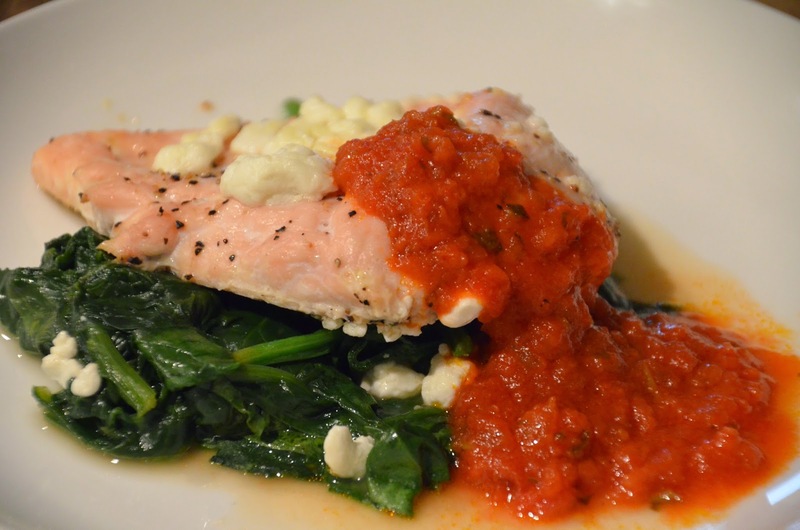 Then crumble goat cheese over the entire thing…I get pretty liberal with the goat cheese because I’m addicted to it. 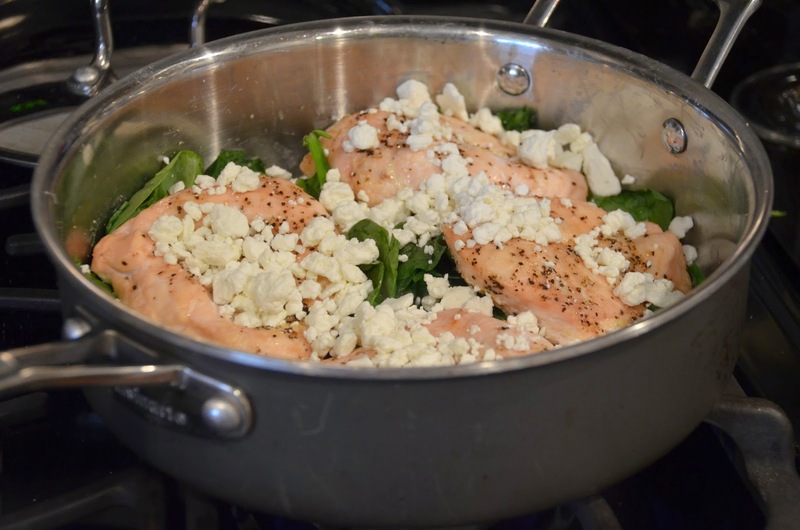 Now just put your pan in the oven and turn on the broiler so that the cheese melts nicely over the chicken. Make sure you watch it, this should only take a few minutes…and then it’s done! My goat cheese is usually much meltier (not a word) but my husband bought the crumbles instead of the whole package of goat cheese. I never buy the crumbles so I’m not really sure what he was thinking but whatever, I’m over it…or maybe I’m not because I just got a little irritated after writing that. Anyway…either form of goat cheese will work.